Brewster House has recently benefitted from a newly decorated entrance hallway and reception area. The residential care home in Haybridge, near Maldon in Essex has welcomed the recent revamp as this newly refreshed space, complete with new furniture, provides an inviting space for our residents, including those who are living with dementia, and their friends, relatives as well as visitors to enjoy. The residents Café at Brewster house care home has also benefitted from the redecoration efforts. The sociable shared space will be officially opened by Maldon’s Town Mayor, Councillor Jeanette Stilts, and Heybridge Parish Council Chairman, Councillor Richard Perry on Thursday 31 May at 11.00am. 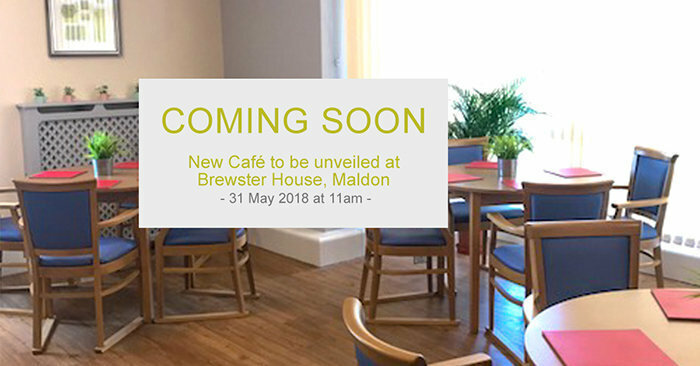 We would like to invite people living in Heybridge, Maldon and the surrounding communities, such as Beeleigh, Langford, Great Totham, Little Totham and Totham Hill to join us for the reopening of our newly refurbished Café at Brewster House! Please join us at Brewster House residential care home in Oak Rd, Heybridge, to officially mark the reopening of the café, take a tour of the come, meet with our care staff and chat to our lovely residents. For more information about Brewster house call 01621 853960.